The 10 participants of the Spring Wildlife Field Trip were well wrapped up as they assembled under a cherry tree with Nick Gaunt, the Leader. 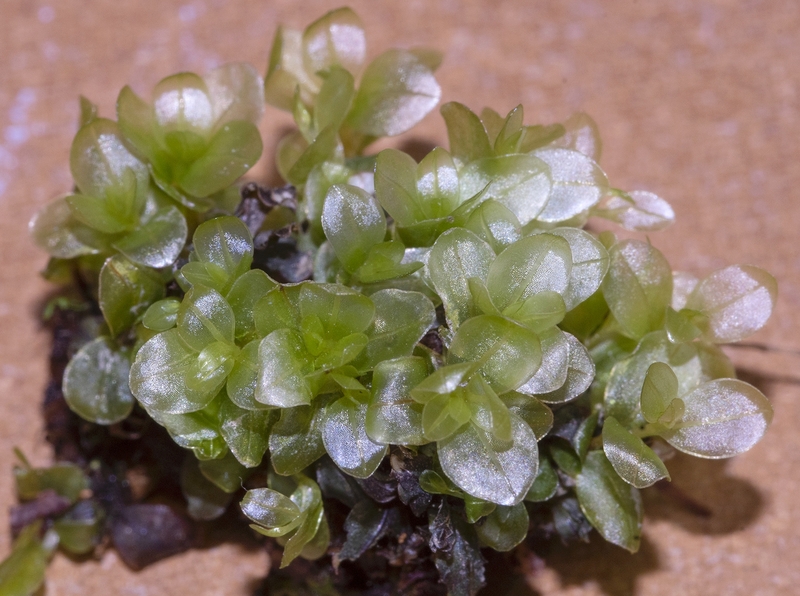 This tree alone, which you would pass without a second glance, provided us with some 15 minutes of exploration – it was covered with a green algal-like growth which on close inspection was seen to be the liverwort Metzgeria fruticulosa. (See link below for full Bryophyte list). 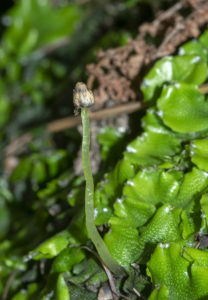 There were several other Bryophytes and a large thallose growth which was probably Bleeding Broadleaf Crust fungus. 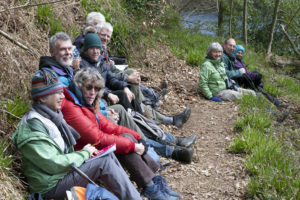 As we were slowly freezing to the spot it was necessary to move on down into the rocky gorge which holds the lake, an artificial fishing pond constructed by the monks of Fountains Abbey. There are impressive gritstone outcrops colonised by old twisted trees. The path down provided mosses in abundance, particularly the young green shoots of Mnium hornum – with gratifyingly large leaves – and the ubiquitous Kindbergia. A particular favourite with us beginners was Rhizomnium punctatum which is easy to recognise and whose cells are big enough to see with a hand lens. Also common and fairly distinctive is Pseudotaxiphyllum elegans which forms a silky green downward-pointing mat which invites stroking. With a x10 lens we could see its numerous minute branchlets that break off to propagate the plant. A highlight was the uncommon sight of a patch of the liverwort Pellia epiphylla with sporophytes – unlike in mosses, these structures are ephemeral. Their weak straggling setae bear a “capsule” which splits into four to release the spores within a day or so, after which it all shrivels, so we were lucky to see them. It was interesting to see the different ecological niches exploited by the Bryophytes – there were specialists for vertical rock faces, the lower part of tree trunks, tree branches, acid soil, water or deep shade. We reached the lake and meandered along the footpath, admiring abundant Great Woodrush clothing the bank. Bluebells were just beginning to flower and there were big patches of garlic-scented Ramsons; on the lake itself there was little birdlife but our lunch spot was brightened by a family of newly hatched mallard ducklings. By now the sun had broken through and it was very pleasant in the sheltered valley. 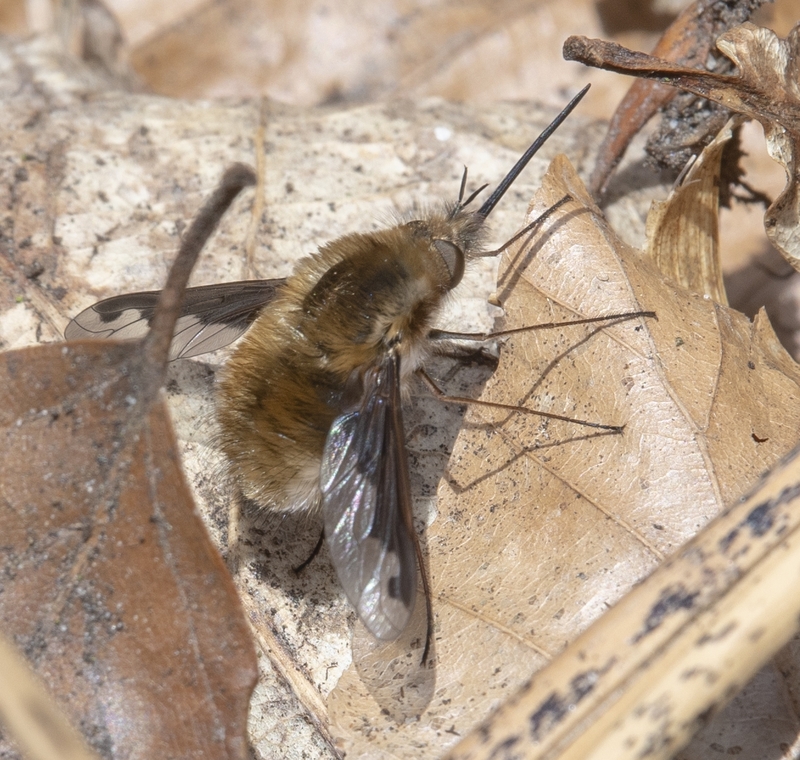 Nigel found, or was found by, a Bee fly with its impressive proboscis and huge eyes, while Alder flies were also in evidence. We admired the old stunted oak trees with their roots squeezed into the fissures in the rock; large trees sprawled into the lake and they and the rocks were clothed in Bryophytes. Here Nick showed us epiphytic mosses of the Orthotrichum and Ulota genera, demonstrated the strongly scented Conocephalum conicum, also with its impressively large sporophytes, and located Tetraphis pellucida with its little cups holding tiny round gemmae. We reached the dam and the picturesque dry stone bridge at the end of the lake where the stonework offered yet another habitat for Bryophytes, bringing the total to 48, and a few more flowering plants were found. We returned in bright sun after a most enjoyable day – many thanks to our Leader, Nick, who continues to amaze us with his knowledge!